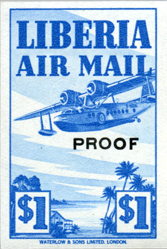 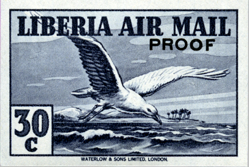 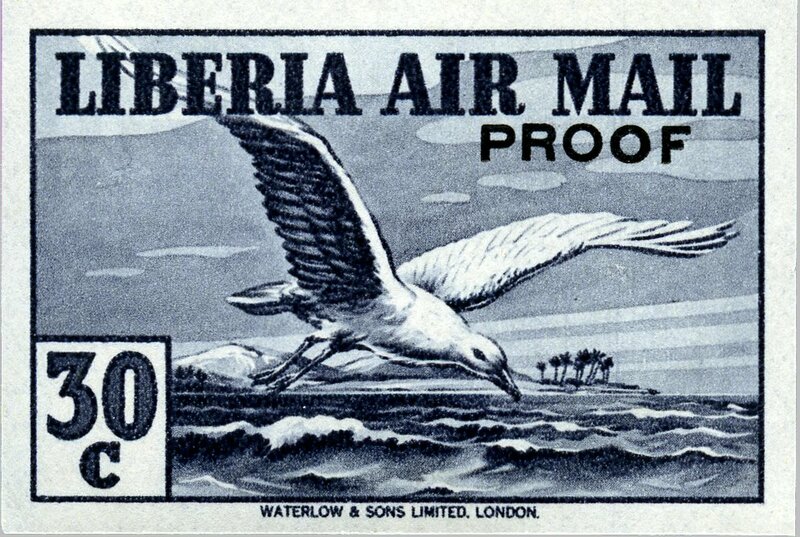 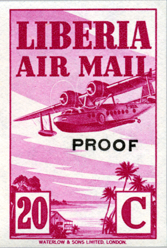 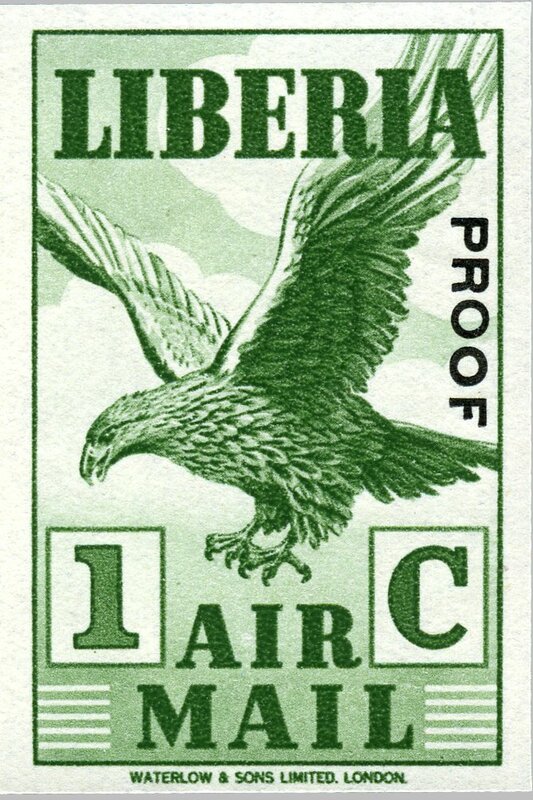 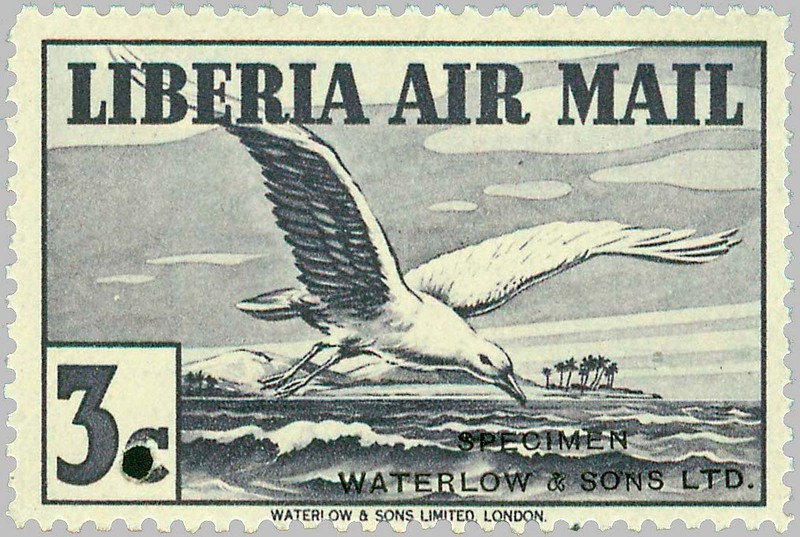 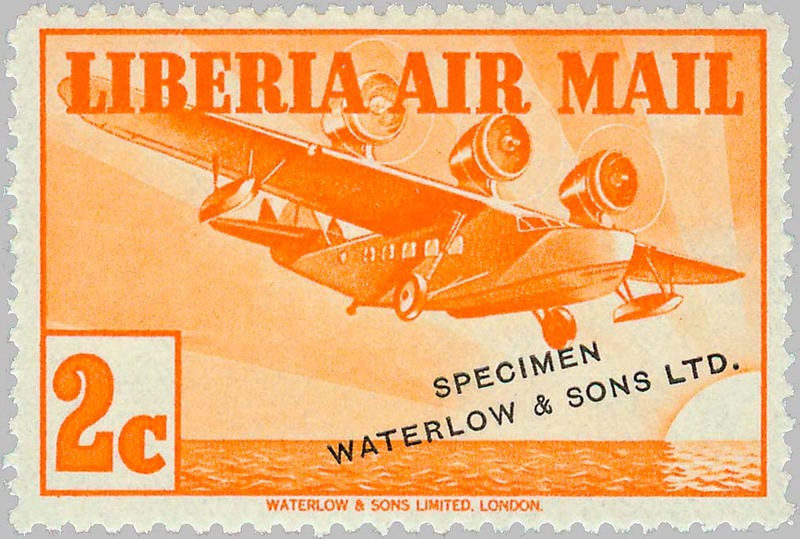 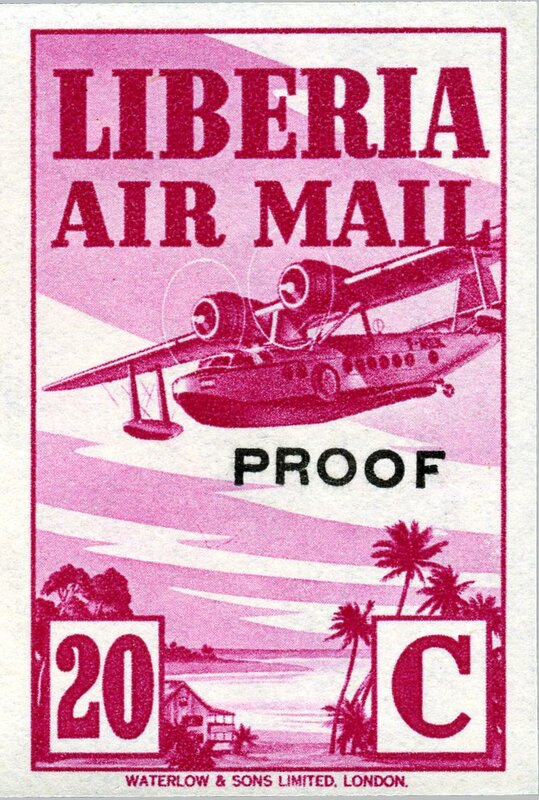 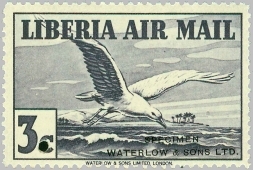 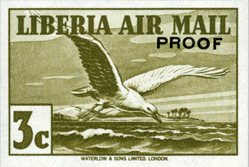 This page contains a loose collection of essays, proofs and specimens of Liberian stamps issued through 1960. About the terminology: essays either show stamp designs that were never used or designs that were used but altered for the final stamp; proofs, whether taken from the whole plate or directly from the single die, always show the final design or parts of it – but often in a different “trial” color and printed on different paper, e.g. 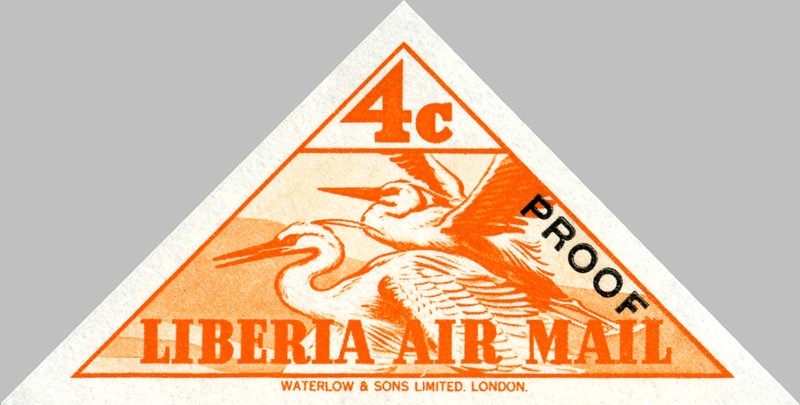 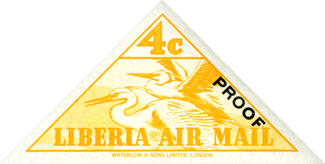 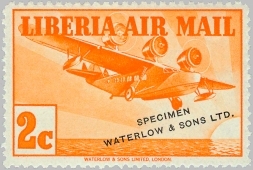 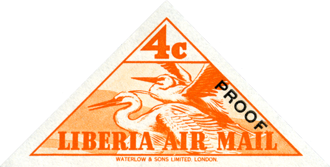 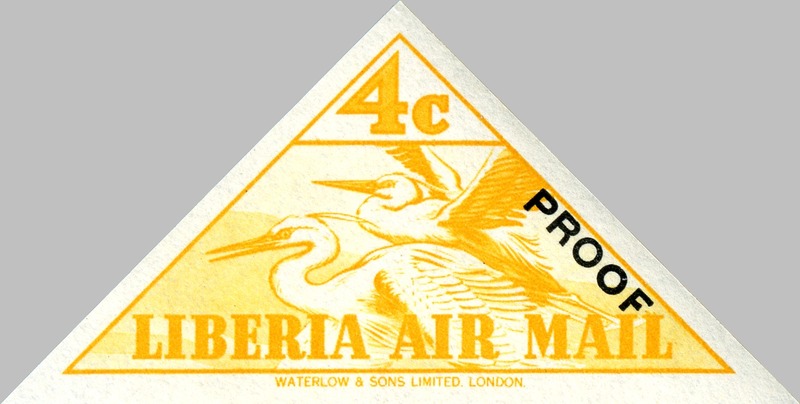 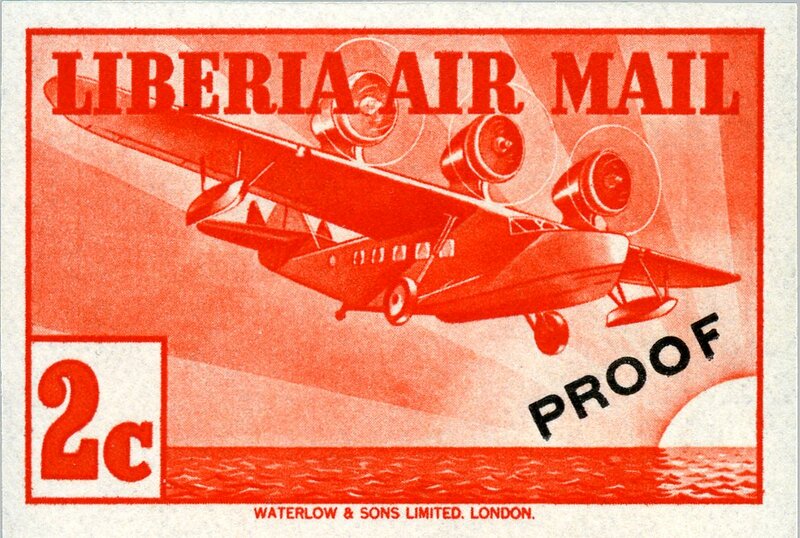 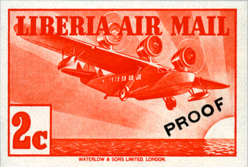 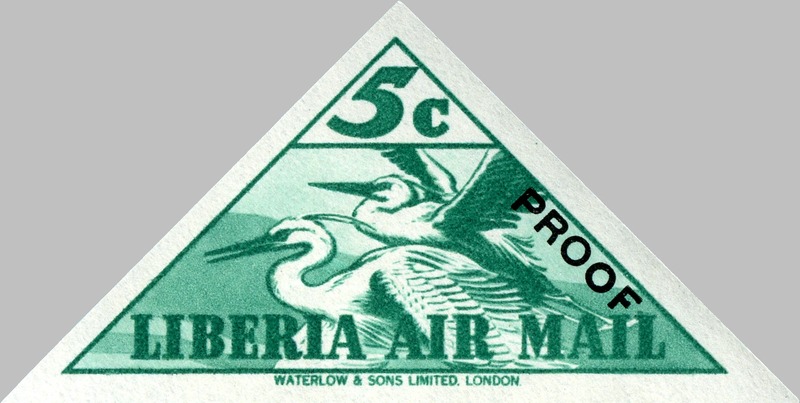 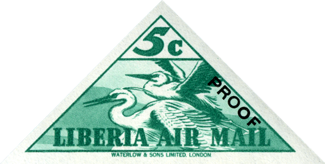 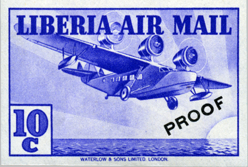 cardboard – however, they can also have gum and be perforated like a normal stamp; specimens are the finished stamps as issued, but with overprint to indicate they are meant for distribution to postal authorities or sent as examples to the Universal Postal Union. 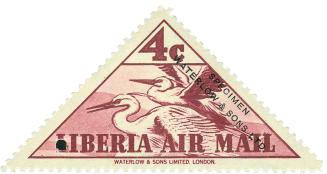 From this it should be clear that the “Waterlow specimens” of the first pictorial issue printed in trial colors are really proofs. 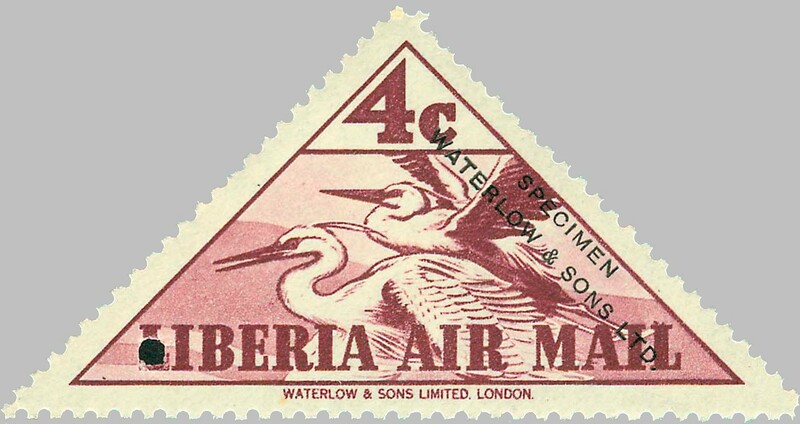 While usually being produced for demonstration purposes only – the one thing essays, proofs and specimens have in common is that none of them are valid for postage – it is probable that at least some of the material on this page was created for the collectors market, just like quite a few of the so called “error stamps” are not really the result of an accident. 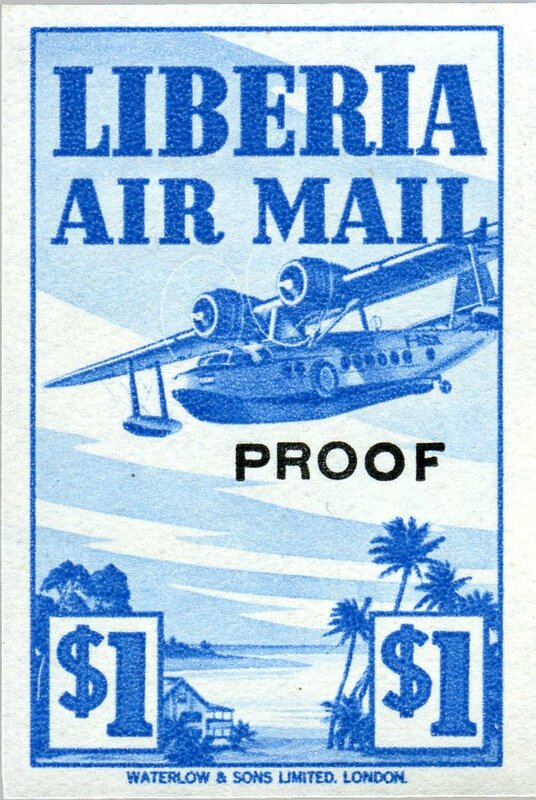 And sometimes it can be impossible to correctly categorize an item. 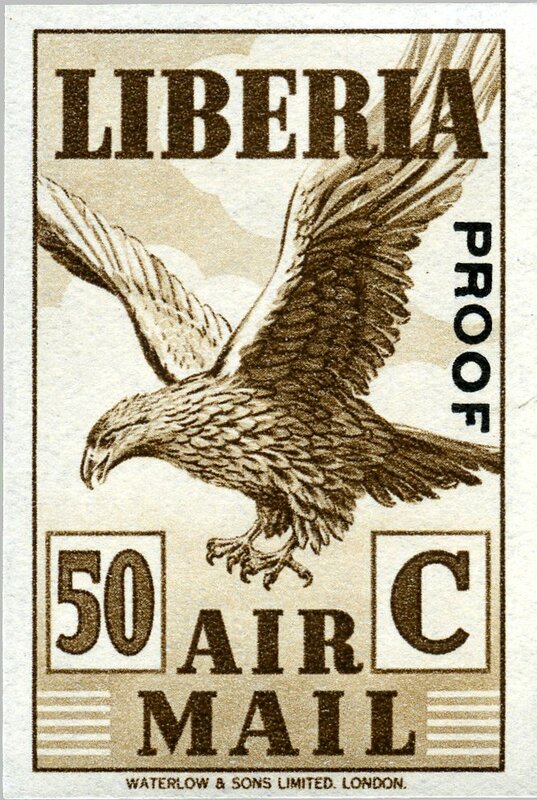 A gummed, perforated stamp showing the frame only: is it a proof, an honest mistake, or just a philatelic swindle? 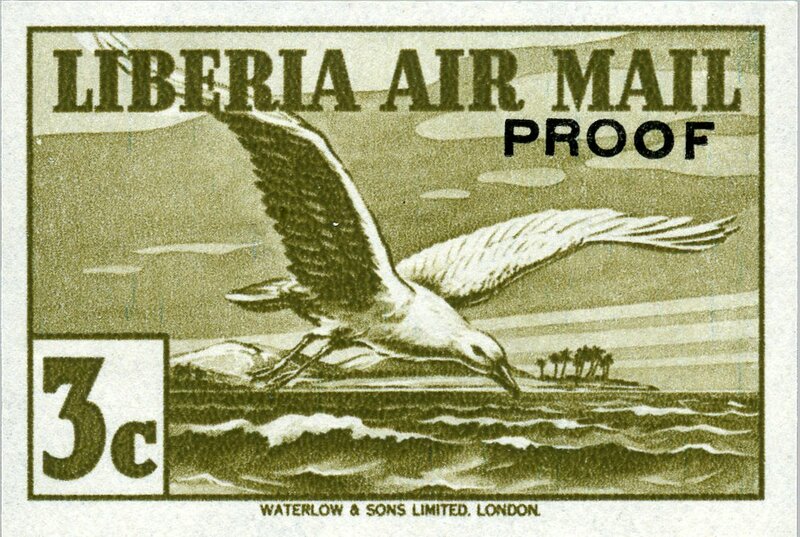 photogravured by Waterlow & Sons, Ltd., England on unwatermarked paper paper, imperforate.